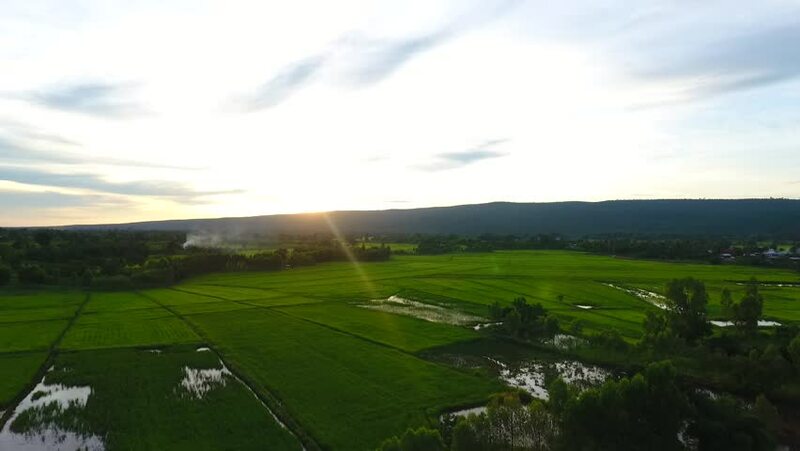 Aerial view sunset of paddy field in Thailand. hd00:17Aerial view of UK countryside and farmland in summer. High above green fields, crops and hedgerows on agricultural land.